Policing is in a profound period of change, the result of recent government reform, a renewed drive for professionalism as well as the need to adapt to a rapidly changing society. This book provides a highly readable and up to date introduction to the work of the police, exploring what this currently involved and the directions it may be going in. It is designed for student police officers starting their probation and training, students studying public or uniformed service courses in colleges, students taking undergraduate courses in policing and criminal justice, and anybody else who wants to know about policing today. 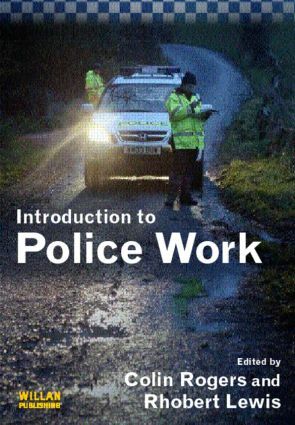 The book describes all the key elements of policing work. The first two parts look at how the police functions as an organization, with chapters devoted to important new areas of crime reduction partnerships and forensic support in investigation and enforcement. The third section covers key aspects of practical police work, with coverage of such challenging areas as anti-social behaviour and terrorism. The book contains a wide range of practical tasks and activities, and links are made throughout to the new Initial Police Learning and Development Programme and National Occupational Standards in Policing.